Have a mini gourmet at home? Or perhaps a picky eater you'd like to reform? 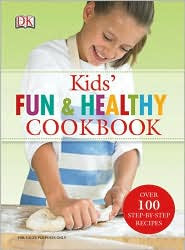 A kiddie cookbook is the perfect gift! Kids in the Kitchen, a Gooseberry Patch gem. In addition to the yummy meals, this book will instruct your little one on the art of cooking up some crafty recipes as well, like DIY play goop and face paint. 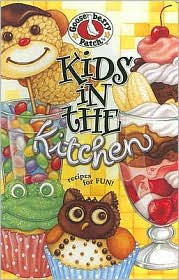 Kids' Fun and Healthy Cookbook, from DK publishing. This one's a must for the picky eater. It doesn't just teach kids how to cook healthy food, it teaches them why. The Kid's Cookbook, from Williams-Sonoma. It's spiral bound and full of great photos and greater tips for budding chefs. 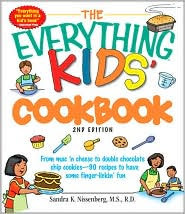 The Everything Kid's Cookbook, by Sandra K. Nissenberg, chock full of all the classics, from pasta to pizza and cookies to cupcakes. As I was preparing this post, I came across a terrific list of "foodie fiction" over at eensies. Check it out!